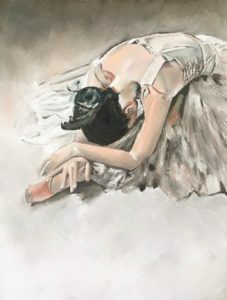 Ballerina in oil on stretched canvas. I tried painting with a very soft and limited palette. I like the soft little pop of colour of the ballet shoe. A favourite for sure.